Our founder, Denise McIntyre, has worked extensively with clients in Canada and the United States for over 25 years. 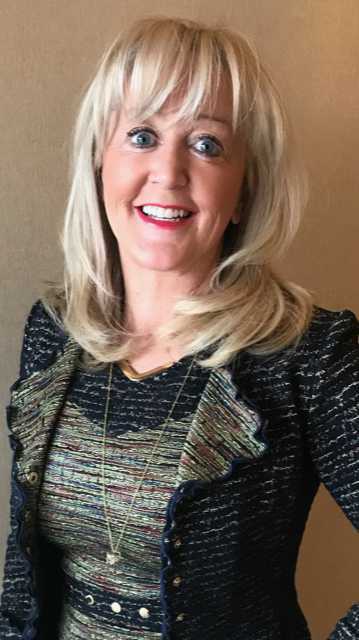 Prior to starting The Learning Edge, Denise spent 8 years as Manager in the Business Training and Consulting department of the Business Development Bank of Canada. This gave her the experience needed to launch The Learning Edge with confidence. As a coach and training facilitator, Denise and The Learning Edge broker training and consulting services to propel individuals and organizations to the next level. Denise, determined to be in sync with innovative marketplace solutions, continues to enhance her business and facilitation skills through new certification programs. The most recent certification is The Heart of Coaching. Denise’s priority is to always be at the edge of innovative solutions available in the marketplace. Denise is certified to facilitate all of Wiley’s solutions including Everything DiSC® Workplace, Management, Sales, Work of Leaders and Train the Trainer. Her certification to deliver The Five Behaviors of a Cohesive Team™ enables Denise to work alongside leaders to apply their leadership development by building high performing teams. Denise has realized success through results, where she has developed customized processes using her certification from Integro Leadership Institute, as well as from Trinity Training and Development. Certification through the Covey organization has provided great insights to Denise’s facilitation of leadership development programs. Being an entrepreneur is a great fit for Denise in that she can partner with diverse client groups on a long-term basis to really understand their needs and recommend timely interventions. Denise’s 8-year term as Manager, Business Training and Consulting with Business Development Bank of Canada gave her a great springboard to launch her own business with confidence. Denise is passionate about making a positive difference for individuals, teams and organizations as they strive to realize their potential. “The hallmark of Denise’s character is her honesty. This extends from those areas where it is easily seen in relationships and business transactions, as well as in integrity of thought. She approaches any analytical task with an extracting eye that is thorough, and meticulous. This is the kind of care and concern I mean by integrity of thought. Denise is a fantastic trainer, she was very adaptable to the group and was great at keeping participants engaged. Denise helped develop the confidence of the participants by using various methods of training to bring out the best in each person. She is passionate and enthusiastic about the material she teaches and very in tune with her audience. and great sense of humor – thank you!